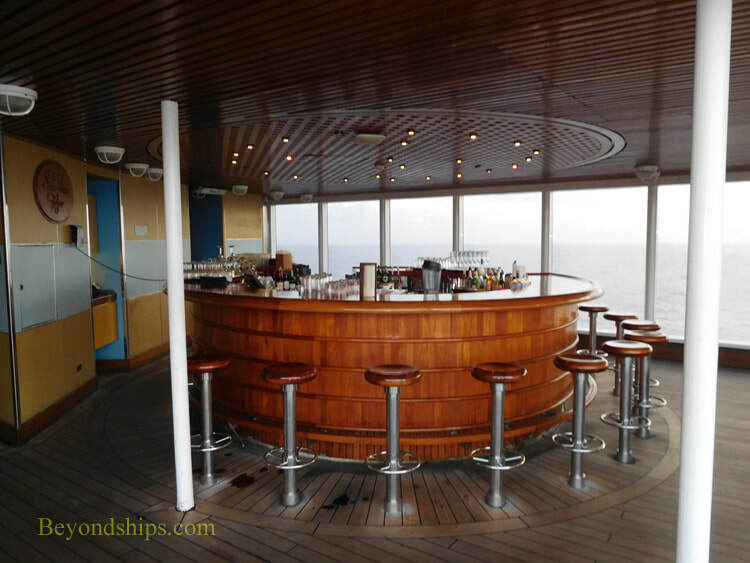 The Crow's Nest is Oosterdam's observation lounge. 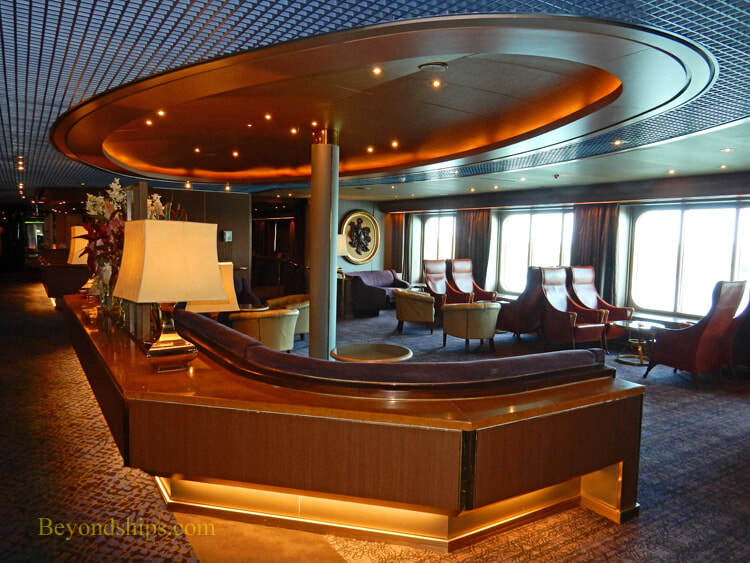 Located high on the forward section of the superstructure,, it offers spectacular views over the bow and over the sides. It is also used for the daily general knowledge trivia contests. 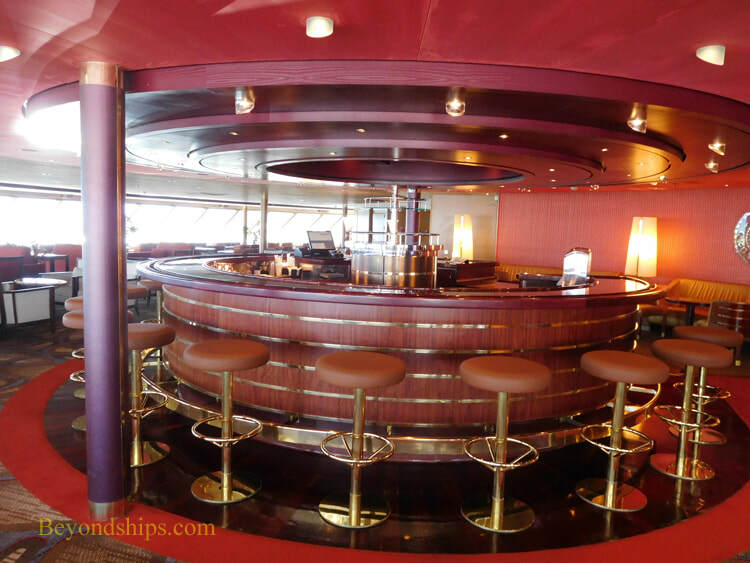 The Pinnacle Bar is centrally-located midships across from the Pinnacle Grill on Deck 2. 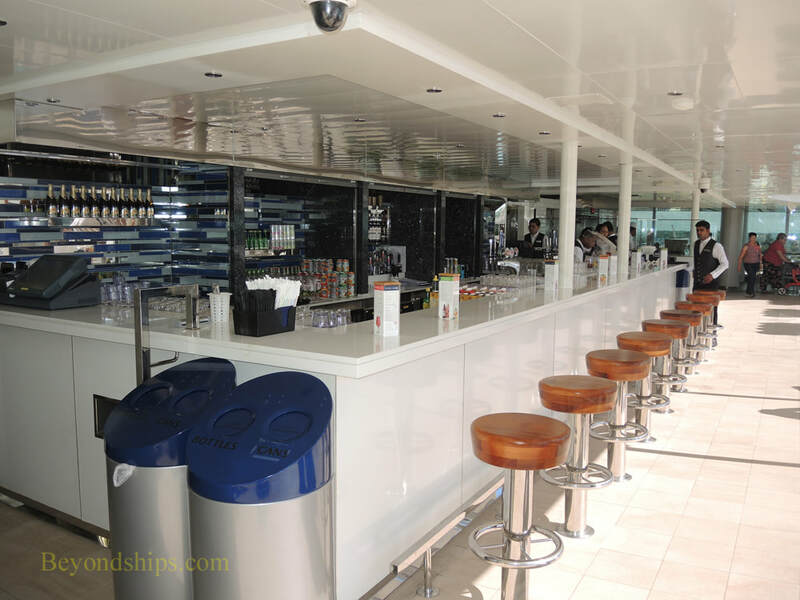 The Ocean Bar is a large venue on Deck 3. During the day, it is used for talks and presentations. 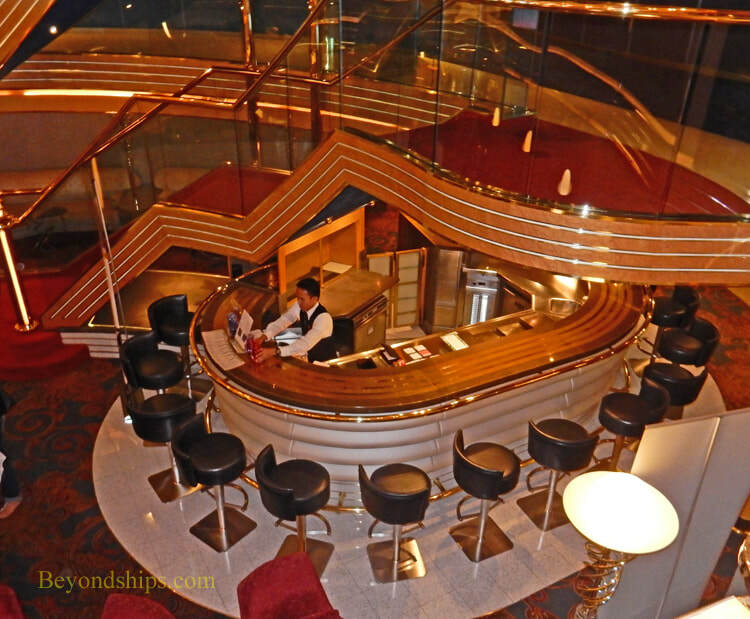 In the evenings, it has live piano music. dinner drinks. 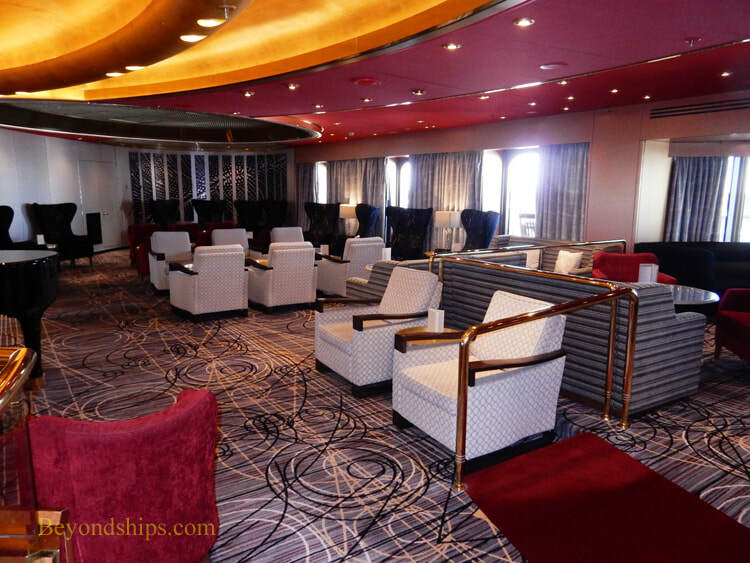 It is also adjacent to the Lincoln Center Stage and you can hear the classical music performances in the Explorers Lounge. 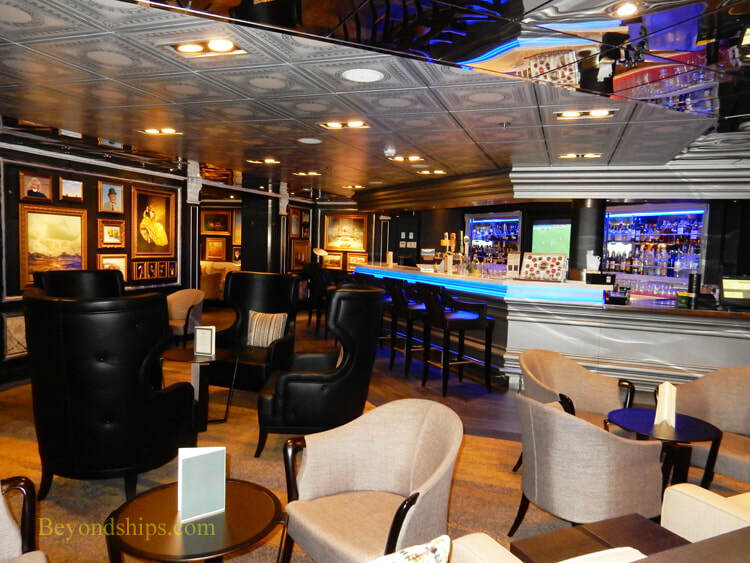 The Gallery Bar replaced Oosterdam's original nightclub. 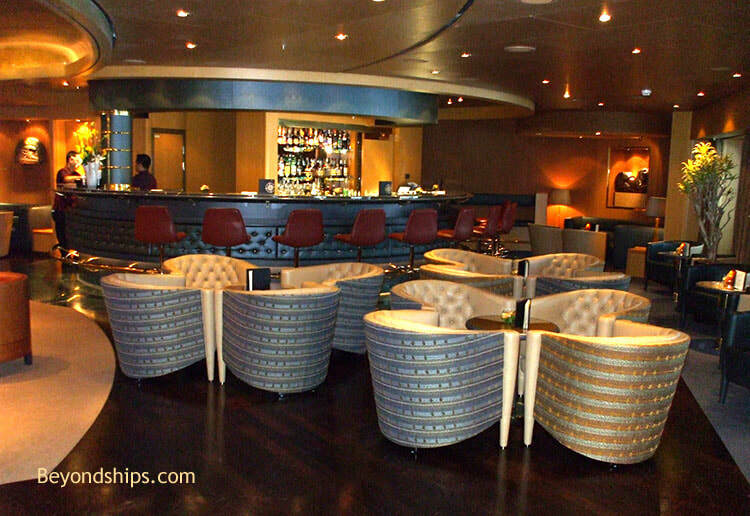 The dividing wall between this area and the casino were removed so as to create a large open area. 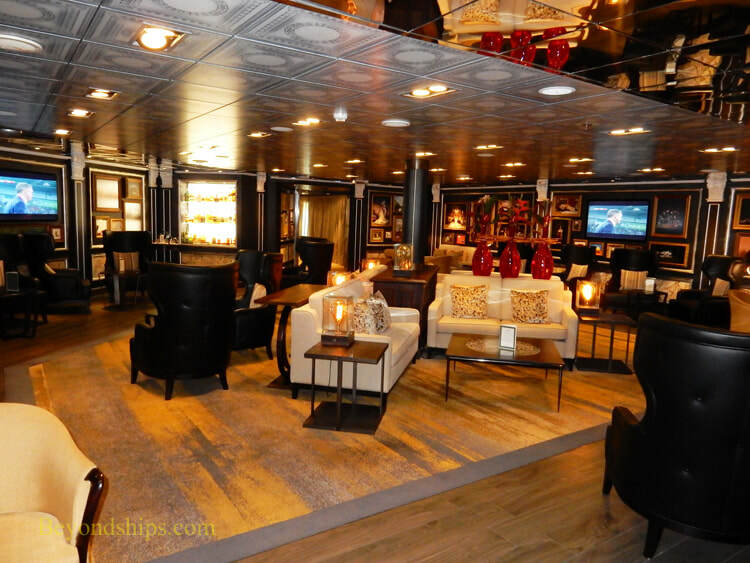 The name comes from the fact that its walls are covered with an eclectic collection of paintings as well as large video screens. 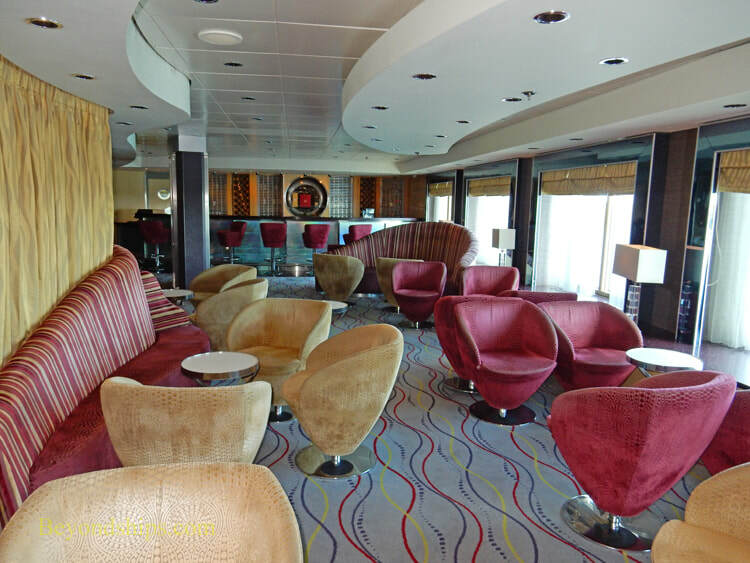 Serving the upper decks are the Lido Bar (above left) and the Bar in the Retreat (above right). 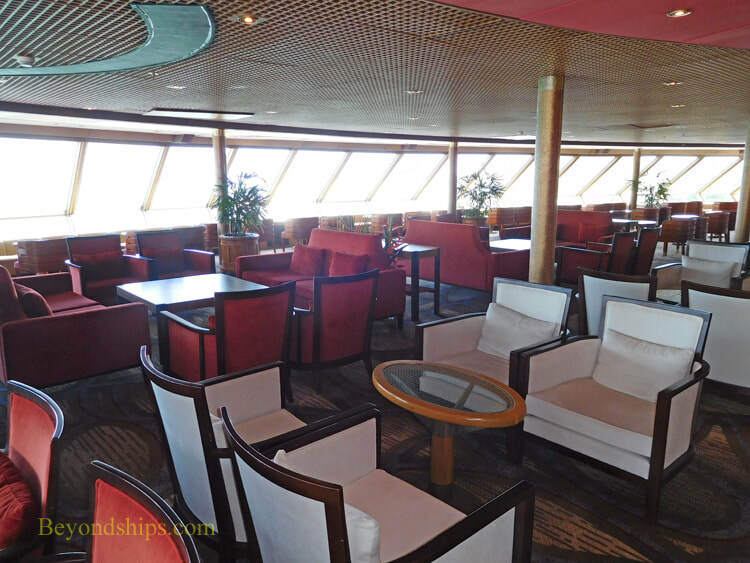 At the base of the atrium on Deck 1 is the Atrium Bar.